Should we really have to call it GNU/Linux instead of just Linux? The question lingers in my mind after a recent reader commented and corrected me that I should use the term "GNU/Linux" when referring to the entire operating system. I guess the naming controversy quietly lives on. If you are not familiar with the GNU/Linux naming dispute, I encourage you to read this Wikipedia article first HERE. I believe that the name Linux was immediately and widely accepted because it is catchy and it's easier to pronounce than GNU/Linux, or LiGNUx, or GLiNUx, or whatever you can think of. So like majority of FOSS developers, advocates, and enthusiasts from the past and present, I don’t think it’s a sin to simply use the word "Linux". Richard M. Stallman wrote a FAQ page where he answered many questions regarding this issue. You can read it all HERE. If you sum up RMS's statements from there, you'll notice that they are mostly about giving "credit" to GNU. Though I'm very much "thankful" for all those who are behind GNU (most especially to RMS), I'm still comfortable using just the term "Linux", as probably nearly all of you do. It's like I'm grateful for Mozilla because of the Firefox web browser, but nowadays I just call Firefox "Firefox" instead of "Mozilla Firefox", and I don’t feel guilty about it. From that FAQ page, Stallman sort of admitted that they made a mistake of not correcting people early on when Linux was still in its infancy or when the Linux name was not yet popular. He said, "Calling the system “Linux” is a confusion that has spread faster than the corrective information. The people who combined Linux with the GNU system were not aware that that's what their activity amounted to. 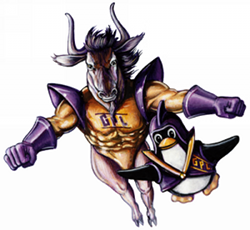 They focused their attention on the piece that was Linux and did not realize that more of the combination was GNU. They started calling it “Linux” even though that name did not fit what they had. It took a few years for us to realize what a problem this was and ask people to correct the practice. By that time, the confusion had a big head start." RMS also had an interesting answer to this question: Why did you wait so long before asking people to use the name GNU/Linux? His response was: "Actually we didn't. We began talking privately with developers and distributors about this in 1994, and made a more public campaign in 1996. We will continue for as long as it's necessary." It's almost 2010 already so I think it's really too late to change that "name" thing. It's like teaching me to use the word photocopier instead of "xerox" when referring to a photocopy machine. However, I salute those people who are tirelessly telling us to use the name GNU/Linux instead of Linux, because they are always reminding us of the great contribution that GNU has done for the advancement of software. well, I call it GNU/Linux because technical reasons. A tipical "linux" distribution is made of a pletora of software. But only 2 of them are actually necessary to have a operating system: a kernel (it can be Linux) and the core of GNU (glibc, bash shell and coreutils). So I think that this system is made by GNU+Linux. But you can change some package. You can compile the core of GNU on a FreeBSD kernel and you have GNU/kfreebsd. Or you can use Linux (the kernel) with uClib and Busybox, then you have uCLinux system. Or you can use Linux in Android that is not a GNU/* system. Then you need a name that identifies the most common system that is made by GNU and Linux. "GNU/Linux" is the best choice in this case. I use Linux. When necessary to differentiate, I use Kubuntu. I don't care what RMS says or thinks on the matter. When spoken, "Linux" is better than "GNU/Linux". When written, it is otherwise. This is not a big deal and I don't bother to "correct" anyone about it unless they ask. When speaking, it is not hard to pronounce "New Linux" , "G N U Linux" or even " g-New Linux". In writing, it is always better to be precise. People who don't like the FSF have said a lot of loud and rude things about this and they enjoy watching natural allies waste time fighting about it. I agree with what chipbernett said. Debian has released GNU/Hurd and GNU/BSD. By now, you would expect the Debian usage to be authoritative. Others have released software that uses Linux but is not GNU. Still many others, like Apple and Sun, use parts of GNU to make their own private versions of BSD but no one would call those hybridized systems GNU. The important lesson to learn is one of software freedom. Free software works so well that it's use is unavoidable in commercial contexts. Even Microsoft uses free software on it's campus. @chipbennet: Are you sure? do you use only Linux? which libc you use? wich shell? wich compiler compiled your applications? when you download a tar.gz package and you want install it, which toolchain you use? Well you use GNU. You, I, and all are using a GNU system with Linux as kernel, then GNU/Linux or GNU+Linux or somewhat like this name. This is a technical fact, not an opinion. Please, download Nexenta, a GNU/Solaris system. It is identical to Ubuntu. Please install GNU/Kfreebsd. It is identical to Debian GNU/Linux. Kernel is a part (an important part) of a complete os and in Ubuntu it is only the 3% of the whole system. The ones who keep the naming dispute going are the disciples of RMS. I tune them out whenever they start foaming at the mouth over GNU/Linux vs. Linux or most especially over their "free" diatribes. The language seeks and settles on simplicity, thus Linux is the people's use. However, GNU is implied in Linux. You can't get to "Linux" without the foundation of GNU's tools. Otherwise, our software naming schemes will sound like a Starbucks order. I have enough problems explaining Linux to my father in law... I don't even want to get into this new thing. He will think the whole thing is needlessly complex and hopelessly confusing. A modern linux distro is made up of hundreds or thousands of pieces. Yes they exist in a hierarchy, but no Credit is not the most important thing... adpotion by the public is. Linux is a trademark controlled by a few people who are not representative of the FOSS community. Particularly, Linus himself seems to care less and less about the philosophical aspects. You could also say that GNU as a group are not representative, however at least power is less concentrated within team GNU, and the term has fewer legal consequences than using Linux. I recommend using Linux loosely, particularly in discussion with people unfamiliar, but in written documents or any serious item meant for publication (and also when speaking in public) use GNU/Linux. Its pronounced 'new linux' which isn't really hard to say, but the distinction is very important as it gives power to one or other organisation over the activities of the community as we are all guilty by association when the press is involved. Of course GNU is percentage wise a much larger proportion of a distribution, and can live independently of the Linux kernel. Also bear in mind the philosophical, cultural and sociological importance of the term GNU - Linux does not necessarily imply any ideology, but you cannot separate the philosophy of GNU from its code. GNU/Linux is therefore very important to observe within the industry and amongst peers, but like much slang I think that linux is more suitable in informal environments, so long as all parties are aware of the distinction behind the term. What if I replaced all GNU components with BSD counter parts? I don't think the BSD guys are going to insist that we call it BSD/Linux.